WMF Manhattan Hip Flask Set (P/N 06 0352 9990). Just because you're traveling doesn't mean you can't have fun! Made from stainless steel with a brushed matte finish. Set includes 7 oz. 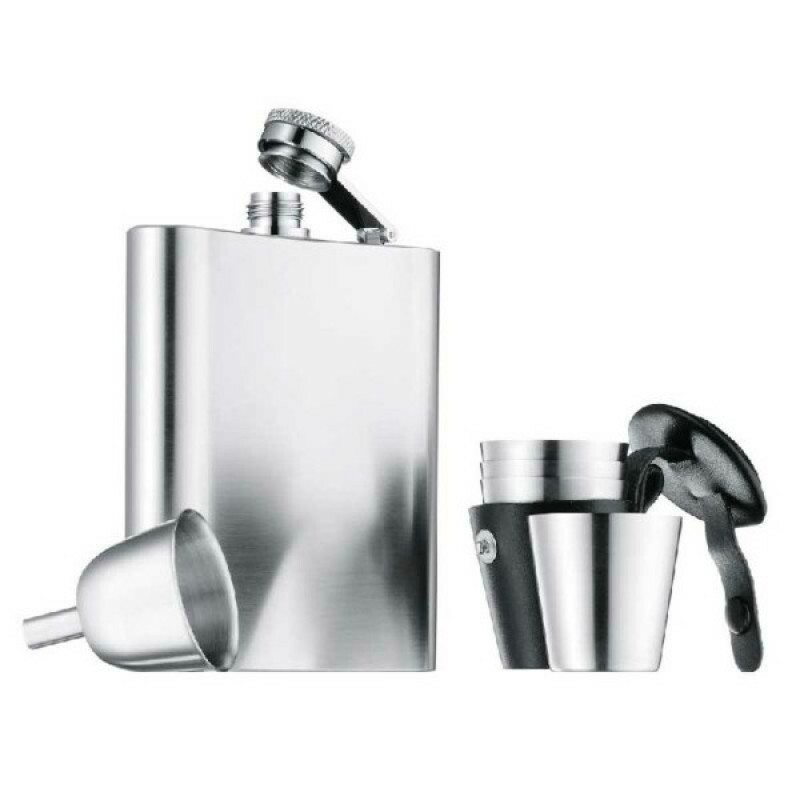 flask, drip-free funnel, and four 1-ounce cups in a leather carrier. 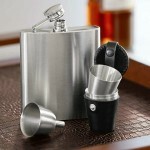 Functional and handsome, this flask makes for easy portability of your favorite spirit on the go.